IBM is making a video game where players act as urban planners. U.S. Secretary of Transportation Ray LaHood announced this week that $775 million in federal funds will be made available for transit providers to upgrade the nation’s bus systems. The Harvard Business Review this month has a small piece on how cul-de-sacs are killing your community by interfering with motor- and foot-traffic flow. The U.S. Congress began working on legislation to impose safety standards on the auto industry. IBM aims to tackle childhood obesity and other public health problems by using computer models to analyze factors like the location of grocery stores, the availability of physical activity facilities and community transportation. The U.S. Department of Energy reported a record drop in U.S. carbon dioxide emissions, but energy expert Lee Schipper, the founder of EMBARQ (the producer of this blog) says the data is “foggy” and hard to gauge during economic turbulence. The International Living Building Institute announced the Living City Design Competition, asking participants to submit ideas for sustainable cities through photo-realistic three-dimensional modeling and renderings. Upcoming: The Shell Dialogues is hosting a live webchat on May 11 about sustainable transportation. 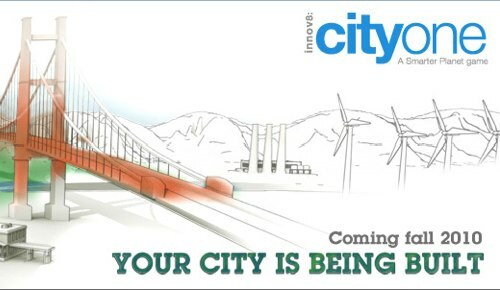 IBM unveiled its new video game, CityOne, which is kind of like SimCity but for sustainable cities, where players act as city planners, dealing with real-life issues related to banking, water, energy and retail.